The snow is coming. That could quite easily be the Brampton slogan year-round. Ok, ok; we have beautiful seasons here. But, it is no exaggeration that the winter is the longest of these seasons. Unfortunately, this means people often put off planning a patio upgrade until summer is already underway—and then they miss out on valuable patio time that first year! Well, since the season is quickly passing and we soon shall see the leaves turning in preparation for our Canadian winter—wouldn’t now be an ideal time to upgrade your patio door? Think about it. Everyone else will either wait until the spring or summer of 2018 to begin their projects and you will be ahead of the game. The moment the snow thaws enough for you to dust off the grill—your patio will be ready to go. At Brock Doors and Windows, we can help get you prepared ahead of schedule! Our team is reliable, flexible, friendly, and experienced in patio door installation (and other doors and windows, like our name suggests!). So, let’s get started! Flexible dates. 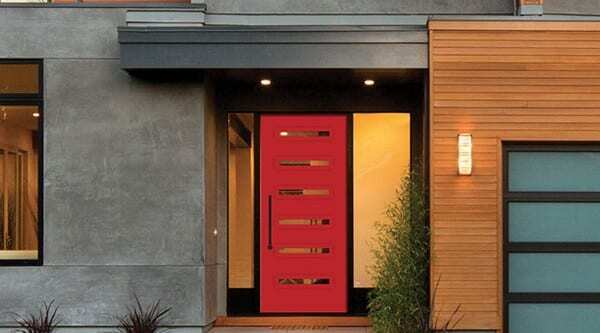 Even though door installation companies do the absolute best they can to accommodate your busy schedule, the summer is an extremely busy time of year—especially for patio door installations and new construction projects. You may find yourself competing with other contracted appointments already on the “books.” Consider that homeowners with seasonal jobs almost always choose the summertime to do home renovations, and they are a large chunk of the Toronto population. And, in general, many wait until the days are longer and warmer to have any home feature replaced. But, Brock is capable and excited about your home project—even when it is cooler outside! Getting ahead for next year is mindful “adulting.” It’s good to plan ahead. It is also a very adult way to prepare your home for any project. When you plan ahead you feel accomplished, relaxed, and more decided. Decisions tend to be made more slowly and with more considerations—because you are not pressed for time. This translates to a more timeless choice of patio door; one you can live with and feel at home next to for years to come. Money saved. No, costs for patio doors and installations are not typically less during the cooler months. But, because you are more likely to make a more calculated decision, you are also more likely to make a more affordable one. The truth is that there is no rush, regardless of the month you choose to begin your patio door project. And you certainly will receive no pressure from our team to make any decisions. Take the time you need to make the most cost-effective decisions you can! The snow is coming. 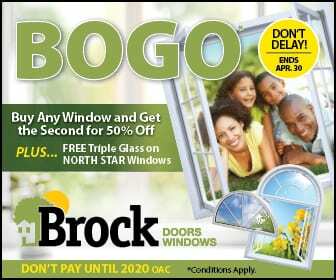 And, your Brampton, On patio door project is pending with Brock Doors and Windows! We will talk with you soon!